Is it Dangerous to Say Breastfeeding is "Naturally Best"? First, let me offer a disclaimer that we at MomsPumpHere fully support a woman’s right to choose what she feels is best for her body, her baby and her family. We have posted in the past about articles referring negatively to breastfeeding advocates as overzealous and also about Lactivism, a book written by Amanda Jung, which criticizes the breastfeeding movement as catering to the elite and wealthy part of our society. Martucci and Barnhill seem to feel that moms are not thinking when they make their decisions for their children and their families. Just because breastfeeding is considered a healthy, natural choice does not mean that moms will reject all other health considerations that are not as natural. Vaccines, antibiotics, fluoride supplements, and reproductive assistance are examples of technologies and advancements that are not natural, but many breastfeeding mothers will still choose them for their families. The column authors also provide examples of “natural is automatically better misjudgment” of rejecting genetically modified origin (GMO) foods and preferring organically grown foods over conventionally grown foods. How is choosing non-GMO foods ever going to be a dangerous practice? How will growing your own garden vegetables or purchasing produce from a community-based farm put your child’s development in harm’s way? Would these choices really be considered dangerous? The authors also share their opinion that breastfeeding-is-natural efforts may unconsciously encourage “biologically deterministic arguments about the roles of men and women in the family (for example, that women should be the primary caretakers of children).” Yes, you read that correctly. The authors suggest that if we say the words “breastfeeding is natural”, we promote the idea that women make breastmilk and that men don’t. This is not a dangerous statement – women are making the milk, but that doesn’t mean they have to be the main person caring for their babies. I have a dear friend who worked a high-profile corporate job while her children were young and breastfeeding. She was very fortunate to have a care provider (her husband who took a leave of absence from his job) who could bring her daughter to her office so she could nurse during the workday. My friend believed that breastmilk and nursing was the best option for her, her child, and her husband because the antibodies provided in the breastmilk helped keep infections away, which meant less time for the baby to recover from any illnesses and a healthier family as a whole. My friend did not believe providing breastmilk for her baby directly from her body also meant that she had to be the main person caring for her baby. She found a way to make it work for her family – because this was her choice for her body, her baby, and her family. 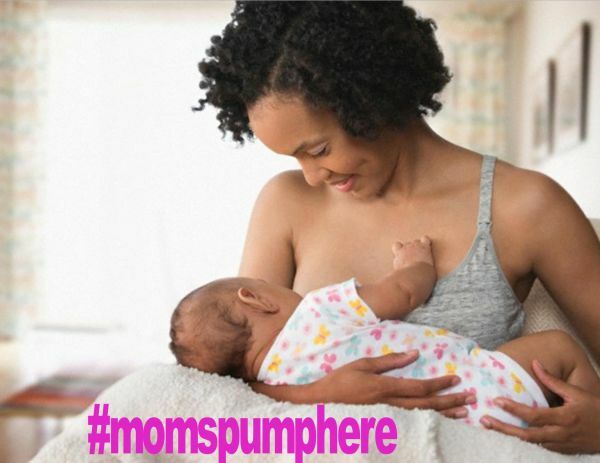 We at Mom Pump Here applaud the campaigns that promote natural choices and we encourage moms to make the best choices they can for their own families’ situations. Does breastfeeding work for you and your family? Great, keep it up. Does exclusive pumping work better for you? Wonderful – keep at it. Did nursing and pumping not work for you but your baby is thriving on formula? Go for it. These choices are yours, Moms (and Dads). Don’t let lactivists, advocates, or slanted professionals push you to choose options that you don’t think are best for your little ones. Make your best choices and don’t let anyone else allow you to feel guilty or ashamed of your decisions. Being a mom means you naturally trust your instincts and there's nothing dangerous about that.